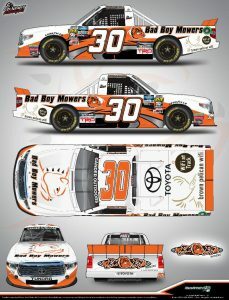 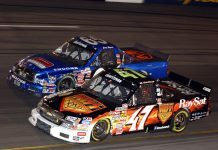 DENVER, N.C. – Bad Boy Mowers will sponsor On Point Motorsports and driver Brennan Poole in the NASCAR Gander Outdoors Truck Series opener at Daytona Int’l Speedway Feb. 15. 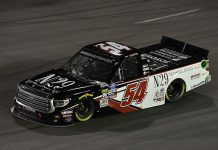 On Point Motorsports announced last month the addition of Poole to the organization to drive the No. 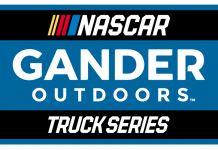 30 Toyota with its sights set on a run at the Truck Series playoffs. 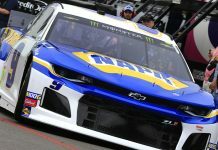 Poole has five starts at Daytona Int’l Speedway in the NASCAR Xfinity Series, highlighted by a pole in the July 2017 event and a seventh-place finish. 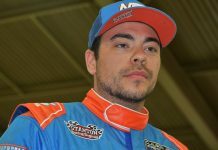 Poole also has one start at the track in the ARCA Menards Series, which also resulted in a seventh-place finish.